Modular technology is breaking ground; from Google's Project Ara handset to Phonebloks, the idea of building your own device from the bits you want, or can afford, is fast becoming a reality. That's the thinking behind Blocks, the modular wearable that was shown of at CES earlier this year and was also part of Intel's Make it Wearable promotion. And now we've a launch date for the now Qualcomm Snapdragon 400 powered wearable, sort of - Blocks Wearables has revealed it will launch a crowdfunding campaign this summer. The Snapdragon platform allows for the switching of hardware components - so you can choose extra battery power, contactless payments, GPS, heart rate monitors and more, and connect them to the watch face 'core' of the device. The device itself runs via Android Lollipop (not Android Wear) and boasts a circular colour display. As well as the interchangeable parts, the core module also features Bluetooth, Wi-Fi, a motion sensor, a microphone and a basic battery. The company has also partnered with Tateossian, a British jewellery and accessories brand to add removable shells, with different textures, colours and materials to the mix. 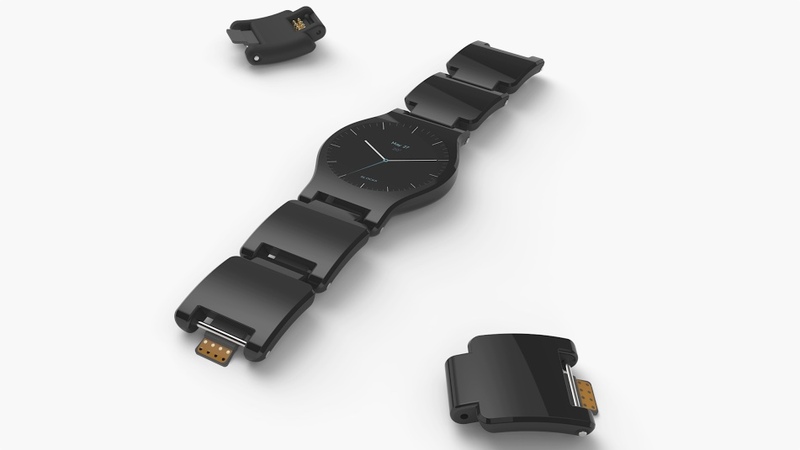 Blocks is not the only upgradeable smartwatch creating waves. Recently we spoke to Tag Heuer's UK communications manager Alexandra King, who hinted that the Swiss watchmaker's Android Wear device could have hardware switching options. "The watch will change the technology as it develops, Jean-Claude Biver was clear about that," she told us. "We want to be able to change the technology but keep the watch elements. "If your child completed their Masters degree, you might want to give them a watch. We want to create something that will stay on your watch for a lifetime, that's what Tag Heuer does. And as the technology changes, it will change." Back to Blocks and its smartwatch will play nicely with both iOS and Android. No price details have been provided but we know that a crowdfunding campaign will kick off in the next couple of months.